Early goals from James Coppinger allowed Doncaster to race to a two-goal lead – before a strike from Mallik Wilks put the home side three goals ahead before the half-time interval. Seconds after the restart a long-range effort from Kieran Sadlier flung into the top corner for a fourth goal for the hosts. Jonson Clarke-Harris converted a penalty with just over twenty minutes remaining but weren’t able to make any further dents in the host’s lead. 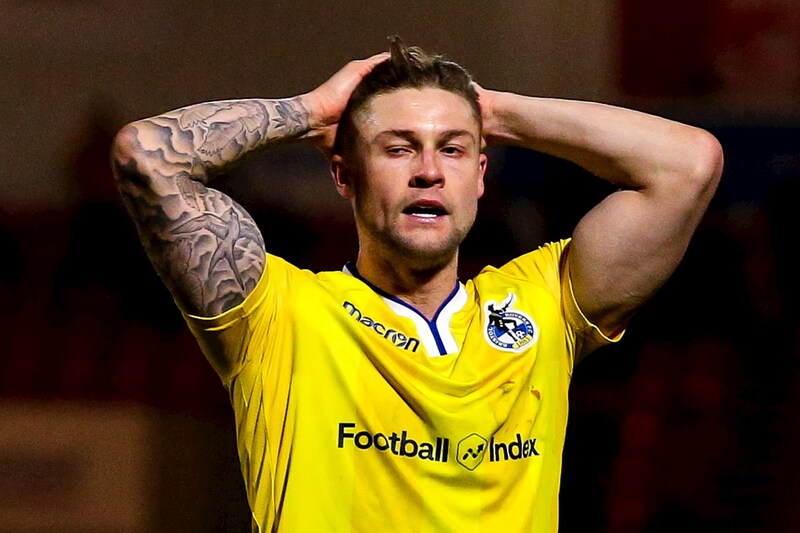 There was a return to the heart of the Rovers defence for Tom Lockyer, as Gavin Reilly and Alex Jakubiak were also given starts after impressing in the late stages of Saturday’s draw at Home Park. The home side settled into the contest the brightest of the two teams, with an early ball into the box almost picking out the unmarked Wilks, but the midfielder couldn’t connect with his header and the far-post. Grant McCann’s side did mark the game with an early goal just four minutes in. This time it was Marquis’ delivery into the box that did the damage, as the cross from the forward fell into the path of James Coppinger. The veteran midfielder turned and poked an effort towards the Rovers goal – with Jack Bonham getting a hand to the attempt, but not enough to keep the ball out of the net. The 38-year-old helped the home side reach a two-goal cushion just minutes after – firing a low effort from 25-yards that looked to take a slight deflection that took the ball out of the reaches of Jack Bonham and saw the shot dart into the bottom corner. Doncaster did get their third goal on the stroke of the half-hour mark. The speedy Mallik Wilks chased down a ball forward and was able to break to the ball ahead of the chasing Holmes-Dennis before the winger checked back on his run and coolly fired past Bonham for the host’s third goal of the afternoon. In response, Rovers had created chances to reduce the deficit in the final stage of the first half. Jonson Clarke-Harris saw a header held by Marosi, as Gavin Reilly raced through on goal and saw his well-placed finish stopped by the outstretched arm of the Doncaster ‘keeper. Graham Coughlan’s men were awarded a penalty shortly after, as James Clarke was shoved down in the penalty box following an adventurous run forward by the right-back. 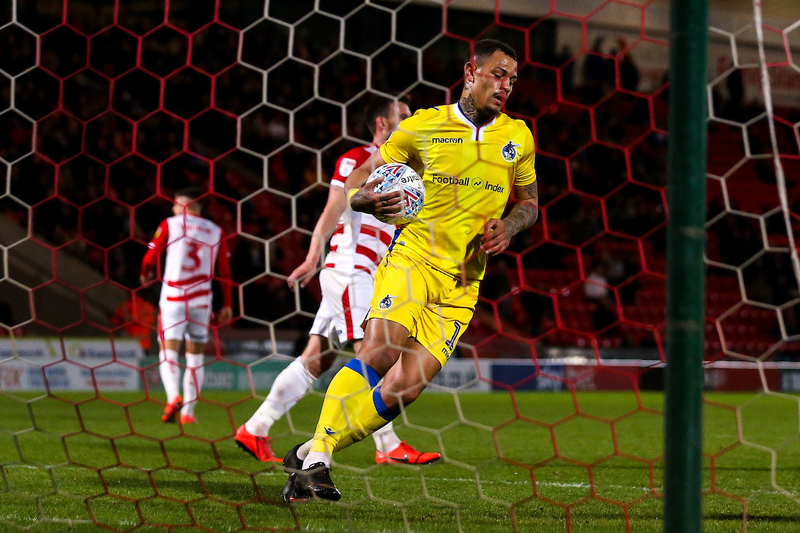 Clarke-Harris was tasked with taking the spot-kick and direct the ball in the opposite direction of the diving Marosi to register Rovers on the scoresheet. Rovers’ next fixture sees Luton Town travel to the Mem on Saturday. Rovers XI: Jack Bonham (GK), James Clarke, Tom Lockyer (C), Tony Craig, Tareiq Holmes-Dennis (71′ Joe Partington), Ed Upson (74′ Stuart Sinclair), Ollie Clarke, Abu Ogogo, Gavin Reilly, Alex Jakubiak (81′ Deon Moore), Jonson Clarke-Harris. Doncaster Rovers: Marko Marosi, Danny Andrew, Andrew Butler, Mallik Wilks (74′ Alfie May), John Marquis, Tommy Rowe (C), Ali Crawford, Matty Blair, Kieran Sadleir (83′ Tyler Smith), James Coppinger (78′ Alfie Beestin), Paul Downing.